New tools from the Center for Adaptive Supercomputing Software may help multithreaded supercomputers tackle power grid stability. Results: Research at Pacific Northwest National Laboratory to gain a greater understanding of electric grid failures is producing promising results. Using PNNL's Cray XMT machine, researchers are conducting advanced power grid contingency analysis, a valuable tool to help determine the impact of potential component failures. Early results from our research show superior performance in selecting critical contingency cases from a large candidate set of possibilities. Detailed contingency analysis can then be performed for selected cases only. Without contingency selection, the number of contingency cases would be so large as to exceed the capability of computational resources. The contingency selection problem is based on the concept of "graph betweenness centrality" in which the power grid is treated as a weighted graph, and the betweenness centrality identifies the most "traveled" paths in the graph. The most traveled paths are considered the most important components, and their failures must be analyzed. PNNL scientists have tested and validated the contingency selection method with actual impact of power grid component failures. Parallel implementation of the method on PNNL's Cray XMT shows excellent scalability. Why it matters: As electricity demand continues to grow and renewable energy increases its penetration in the power grid, the personnel operating and managing the power grid are facing some fundamental challenges. Contingency analysis evolves from previous "N-1" analysis (i.e. failures of any one component) to "N-x" analysis (i.e. failures of multiple components). The combinatorial number of contingency cases increases exponentially as "x" becomes larger. This results in many more cases to analyze and much more data from the analysis to present to operators. 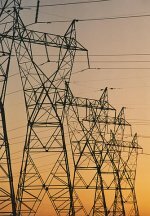 To address these challenges, researchers at PNNL are exploring the use of graph theory to select contingency cases and advanced visualization techniques to perform post-processing of the contingency analysis data and to present the information to operators in a meaningful and intuitive way so as to improve the decision-support process for faster responsiveness to adverse power grid situations. Methods: The multithreaded research for advanced power grid contingency analysis takes advantage of Cray XMT's hybrid architecture of Threadstorm and Opteron nodes. Threadstorm nodes are used to perform contingency selection, while Opteron nodes perform the floating point computation of actual contingency analysis. Combinatorial contingencies generally exceed the capability of existing computational power; therefore, it is critical to select credible contingency cases within the constraint of available computer resources. A contingency selection method is developed by applying graph theory to power grid topology. This method identifies low-impact components. The failure of these components is of little importance to power grid stability. Removing them from analysis reduces the combinatorial number of contingency cases. This method has been implemented on the Cray XMT machine, taking the advantage of the graph processing capability of Cray XMT's Threadstorm nodes and its programming features. What's Next: Further work will focus on the communication between Threadstorm nodes and Opteron nodes and a visualization method for the post-processing of contingency analysis results. The long-term goal is to develop the capability for massive contingency analysis and operator-friendly information presentation for real-time decision support in power grid operation. Acknowledgment: This work is supported through the Center for Adaptive Supercomputing Software-Multithreaded Architectures (CASS-MT). Sponsors: US Department of Defense. 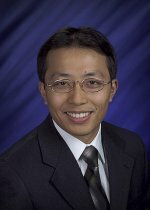 Citations: Zhenyu Huang, Yousu Chen, and Jarek Nieplocha, "Massive Contingency Analysis with High Performance Computing", accepted by the IEEE Power and Energy Society General Meeting 2009, Calgary, Canada, July 26-30, 2009.